Kansalaiskeskustelu.fi was launched again — now with a new, better software and new approach to marketing. Everything seems to go better this time. 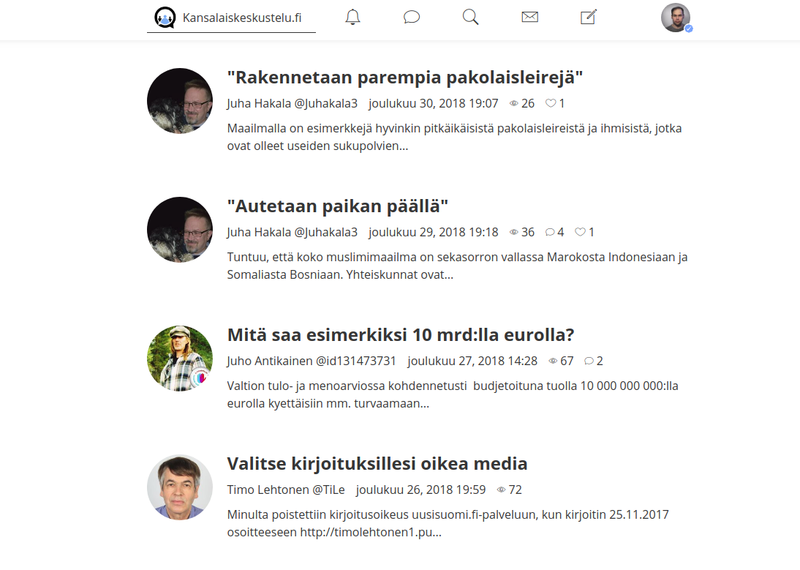 Kansalaiskeskustelu.fi is a blogging site for topics under society and politics. In Finnish. A similar site in English may come later.